South American police do not mess about! 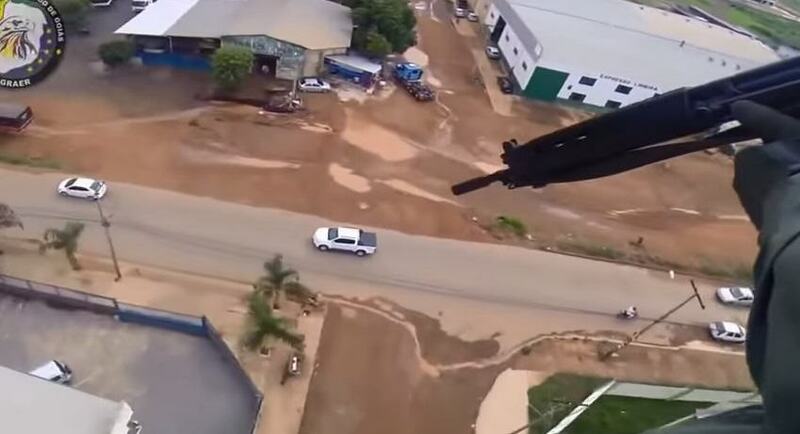 This viral video from Brazil is from the gun squad helicopter that is giving chase to a gangster on the run. It looks like a cross between a Call Of Duty killstreak and and episode of Police, Camera, Action! The guy in the truck is on the run from police, until he eventually concedes, after being pelted from above with bullets. He does try to escape on foot, but that doesn’t last very long, and he ends up on the floor, in cuffs. The whole time I watched this, I really wanted them to press LT and zoom in a bit!